My honey Magnolia: Wedding Invitations! I'm so excited to tell everyone that's those are the wedding invite of my sister wedding! I used the classic ivory white that characterizes the wedding invitations and to recall the autumn a touch of taupe. Inside you find two old photo of my sister and her future husband..ahahahahah aren't they adorable? The wedding will be on 20th October so congrats Sabrina e Gianni! Ciao a tutti, sono così felice di annunciarvi che questi sono gli inviti per il matrimonio di mia sorella Sabrina!! Abbiamo passato tantissimo tempo in compagnia della Big Shot a tagliare tutti questi bordini che ė una DooHickey della Magnolia e a timbrare il timbro "wedding" invece il piccolo angolino ė una fustellina di Nellie Snellen..ci serviva però qualcosa di sbarluccicoso perciò abbiamo aggiunto qualche strass negli angoli. Abbiamo cercato di usare il classico bianco avorio che caratterizza gli inviti di matrimonio e per richiamare l'autunno un tocco di color tortora. All'interno due buffissime foto di mia sorella e del suo futuro marito Gianni di qualche annetto fa..non sono adorabili?? Il matrimonio sarà il 20 ottobre 2013 perciò congratulazioni ragazzi!! Thank you for sharing your beautiful wedding invites with us at Midweek Magnolias . Thanks for sharing with us at Charisma. 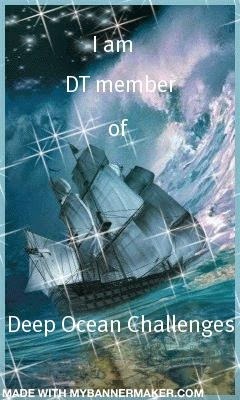 Thankyou for sharing with us your wedding invitations they are lovely challenges 4 everybody Fiona dt. These are simply beautiful! Thanks so much for joining us at The Shabby Tea Room! Lovely. Thank you for sharing it with us at Midweek Magnolias. lovely and classic invitations! So glad you linked up to Tilda's Town Challenges! Thanks for playing!